To make this year’s holiday extra special, we’ve put together a list of presents that are actually 1) useful, and 2) something he’ll love. And no, barbecue utensils did not make the list. Because you have a business dad. He needs business stuff. 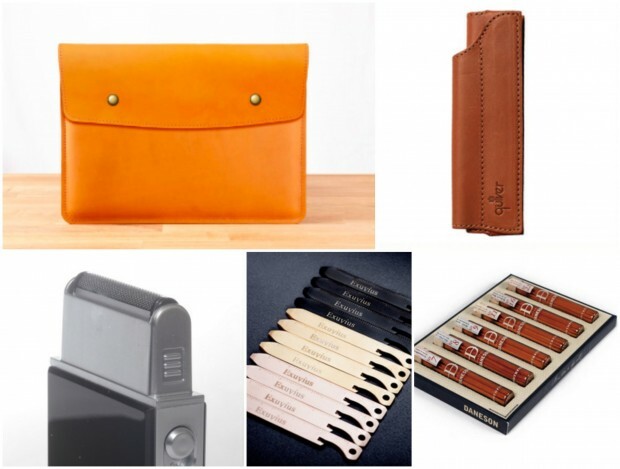 If you have a small business owner in your family who also happens to be a dad, check out our 8 favorite gifts below. And don’t worry, most of these treats won’t break the bank. Or if you looking to help him polish his skills, check out some of CreativeLive’s classes too. Running a small business requires a lot of time, energy, and electronic devices. Now your dad can easily keep those unsightly cords neat and tidy with Recoil’s spring-loaded automatic cord winders. Grab them on sale at $19.60 for a 3-pack. The perfect gift for men obsessed with their phones! Cookoo’s handsome smartphone-connected wristwatch keeps track of time and takes care of business, and while basic models are a splurge at $149.99, it’s a steal compared to similar items from other better-known, fruit-related companies. Speaking of Apple, chances are your business-owner dad is addicted to his laptop. MintCases’ sleeves are a must have –– and you can’t go wrong with under $90 for leather handmade in the USA. Shave Tech’s personal shaver is a must for business owners with zero time to pamper in the morning. The handy shaver allows for a quick and discreet grooming session before meetings thanks to its ingenious USB charge port, and at just $29.99 it won’t cut too deeply into your bank account! We’re obsessed with this artfully designed and oh-so-functional pen holder from the folks at Quiver. 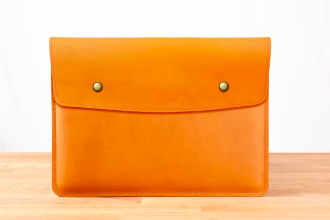 These sweet leather cases come in a range of colors and sizes, and attach seamlessly to notebooks. Here’s to always keeping the appointment book stylish! Buy for $23.95. In the event that your dad still uses pencils (super likely, let’s be real), you have to check out This Is Ground’s sleek case. With space to roll up 10 pencils plus a sharpener, it’ll keep your dad organized when he’s on the go. Plus, at $40 a piece, it might provide him with the impetus to finally invest in Artisanal Pencil Sharpening. 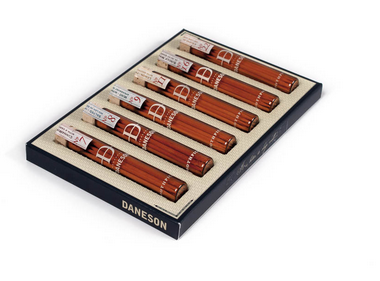 While we’re on the subject of sharpened wooden objects, get a load of these flavored toothpicks from Daneson –– a tasteful and tasty way for him to tidy up his smile before important meetings! Flavors include Salted Birch and Single Malt. Buy for $37.99. Fact: part of running your own business is always being prepared. With integrated screwdrivers for multiple screw types, a thread cutter, measurement scales, and a bottle opener, your dad will be ready for any unexpected situation with these awesome collar stays from Exuvius. Buy at $45-50 for a 4-pack.